Looking for the perfect heirloom gift for your daughter? Often times, the most perfect gift is not the trendy item of the moment- the toy du jour that has frazzled parents lining up in store aisles. Sometimes the best gifts are the ones that are meant to last for a girl’s lifetime–gifts that she may even be able to pass down to her own daughter someday. The following gifts are great heirloom gift ideas that any little girl could cherish and love all the more once she’s grown up. With so many elegant styles and handcrafted models to choose from, a music box is a lovely heirloom gift that can often be personalized with special songs. Choose a favorite lullaby or music that held a special place in your own heart that you want to share. 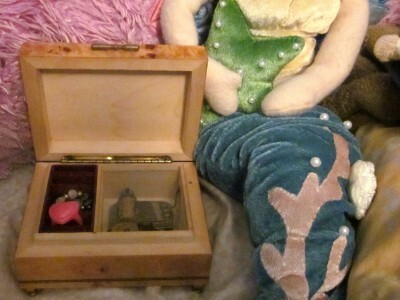 Some music boxes even double as a jewelry box or snow globe. A beautiful diary is an exciting gift for a young girl. 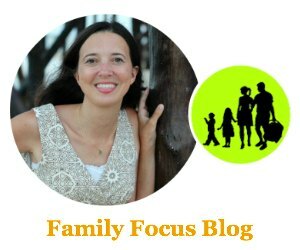 Allowing her to record the precious moments of her young life, a diary is also the gift of writing. One day she’ll look back on these writings and her young life will be more sweetly visible to her in adulthood. There are many fine diaries on the market; you’ll be able to find the perfect one to match that little girl’s style and the gift of journaling will last a lifetime. Lockets are classic jewelry gifts that never go out of style. A heart or book-shaped locket with a photo enclosed or, perhaps, a tiny message of love will accompany a girl into adulthood. Some lockets may be purchased with birthstones embedded in the design. Also, it’s possible to have lockets personalized with unique engravings line initials or even nicknames. While it may not be possible to procure a first edition of Alice in Wonderland or Little Women, it is still possible to find and purchase rare collectible books that have special meaning. A beautiful leather bound edition of The Secret Garden by Frances Hodgson Burnett is a great gift idea. 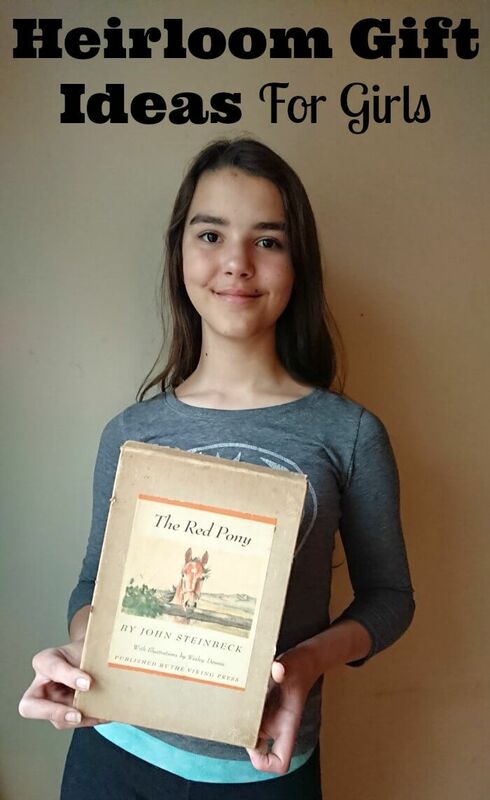 Many older editions were published with renowned illustrations or may even feature gold leaf designs; these artistically beautiful books may certainly increase in value as collectibles, but they will fill a little girl’s childhood with an early love of literature. It will be fun to read the book aloud together too! An appreciation for one’s heritage can begin as a young child with the gift of folk art. From Russian nesting dolls to Mexican embroidery, there are many examples of folk art from particular countries or regions of the world. In today’s global market, it’s often easy to find these items by shopping online. Other nationality inspired gifts include kimonos, dolls, or ethnic jewelry. A handmade teddy bear is a special gift, but one made with your child’s baby blanket is even more special and something she’ll treasure for life. If you weren’t born with the skills to make one yourself, there are many crafters who will make one for you. Ask at sewing shops in your area or find a crafter on Etsy to make your special bear. A personalized jewelry box is a place any young girl will love to keep her treasures and something she’ll cherish for years to come. Choose a jewelry box that can be personalized with her name, a special poem, a note of love, or special dates so that it becomes a one-of-a-kind gift. Create a book of memories with photos, souvenirs, notes of love and encouragement, and journal entries of days well-spent. You can even add a few hand-me-down recipes that have been in your family for generations. The ideas of items and notes you can add are endless and something she’ll treasure for a lifetime. Give your child the soothing sound of your voice. A gift that allows you to record a special message or read a storybook is a gift that will keep on giving for years to come. There are a variety of options that allow you to record something special for your child. Look for stuffed animals that allow you to record a special message. Or, read your child’s favorite story. Hallmark and other companies offer a variety of classic stories that you can read aloud as it records your voice with each page. The Velveteen Rabbit and The Night Before Christmas are just a few options you can find. A beautiful vintage hairbrush along with a matching hand mirror is something a young girl will be able to use her entire life. And she’ll think of you every time she does. This gift is not only beautiful, it serves a purpose and can be used every day. Does your child have a special symbol they feel brings them luck? A four-leaf clover or a hummingbird? If so, a necklace with a charm of their good luck symbol is something they’ll cherish and wear often. It will be something special they can pull from their jewelry box on days they need to feel extra lucky to give them the confidence they need. Finding the perfect heirloom gift for your daughter is a matter of personal choice, but the heartfelt sentiment you’ll infuse into this offering will go with a special little girl forever. Many of these items can be purchased at traditional shopping venues or through specialty shops online. You’ll be surprised at the wide array of options that are available for each type of heirloom gift ideas for girls. With my daughters 8th birthday approaching…this was an excellent read. Thank You! another idea is a jewelry box. one year for christmas, both sets of grandparents got me one. now, in my late 20s, both are still on my dresser in use today. they are both very different but now i think of my grandparents everyday–especially when i see a special piece of grandma’s jewelry tucked inside.